If you're pining for the previous A3 Sportback body style, don't give up and settle for the new Sedan; the hatch is on the way next year exclusively as a TDI diesel or plug-in hybrid. The 2015 Audi A3 and S3 put more pressure on "premium" small sedans, with real prestige in their badges and real potential in their spec sheets. The 2015 Audi A3, and its sportier S3 sibling, are Audi's weapons in its attack on the growing market for small luxury cars. As existing nameplates like Audi's A4 keep getting a bit larger [which the industry terms 'bracket creep'], it means the A3 is almost exactly the same size as the first Audi A4 of 20 years ago, then a compact but now considerably larger. 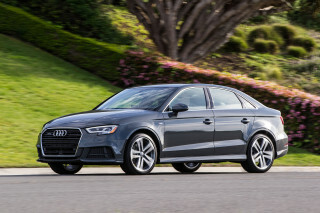 The car that's all new for 2015 is the first A3 sedan U.S. buyers have seen; up through 2013, any A3 was the five-door hatchback version known as the Sportback. (There was no 2014 Audi A3, by the way.) In the U.S., sedans notably outsell hatchbacks, so now an A3 Sportback model will only be available as a limited-volume "e-tron" plug-in hybrid model, set to launch by the end of 2015. An A3 Cabriolet goes on sale soon as well. But until then, the A3 is only a four-door sedan, offered with several different powertrains. They include the A3 1.8T with a turbocharged gasoline engine, the A3 2.0T quattro with a large turbo engine and all-wheel drive, the A3 TDI turbodiesel, and the sporty S3 (covered separately). 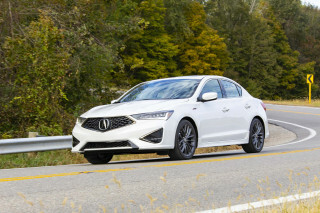 These models compete directly with the new, curvaceous, and wildly successful Mercedes-Benz CLA 250 and an updated Acura ILX, as well as possibly the BMW 1-Series two-door sedan. The 2015 Audi A3 is as quintessentially Audi in appearance as any other model, almost to the point of conservatism. You have to look closely to differentiate it from the A4, despite completely new sheetmetal and a distinctive angle to its rear pillars. From the available LED headlights, to the emphatic, spare grille, to the gentle roll of the roofline into the stubby trunk, it's Audi from head to toe and couldn't be anything but. But the interior of the A3 and S3 ventures subtly into new aesthetic territory for Audi. More of the VW roots show through in the horizontal dash, though it's differentiated well with round vents, a trio of small climate-control knobs, and by a new MMI controller on the console and by the LCD display that rises from the dash—a uniquely German solution to infotainment that hits a fragile note in the cockpits of Benzes and BMWs, too. The corporate heritage gets clearer in the powertrain lineup chosen for Audi's American A3 customers. Front-wheel-drive 1.8T models, with their 170-horsepower, 1.8-liter engine, and 2.0T quattro (all-wheel-drive) models, with a 220-hp, 2.0-liter engine, are both direct-injected, and with their low 1,600-rpm torque peaks and quick responsiveness they both do a great job in fooling us to believe they're larger-displacement engines. They're both hitched up to a six-speed dual-clutch (DSG) automated manual gearbox (no manual gearbox is in the plans), and otherwise these models are pretty conventional in layout -- with transverse-mounted engines, front struts, and a four-link independent rear suspension. The electromechanical, speed-sensitive steering is excellent here -- precise and well-weighted. The 2015 Audi A3 TDI is fitted with a 150-horsepower 2.0-liter turbodiesel four-cylinder engine that produces 236 lb-ft of torque, driving the front wheels through the dual-clutch gearbox. 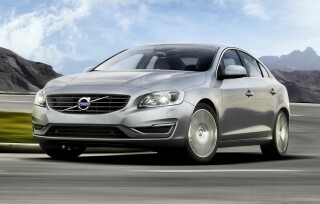 It's offered only with front-wheel drive. The most coveted edition is the S3. With an uprated version of the same 2.0-liter turbo four and standard all-wheel drive, the S3 should be good for 296 horsepower, and for a 0-60 mph time of about 4.8 seconds -- a performance benchmark just two-tenths of a second shy of the CLA 45 AMG, which sports almost 60 more horsepower. 1.8-liter models take a little over seven seconds, while 2.0T models take a little less than six seconds, although between these two engines, because of different gearing, it's more of a wash in real-world driving. The A3's cabin is a bit of a throwback, if you've spent time in the current A4 sedan or Allroad wagon. 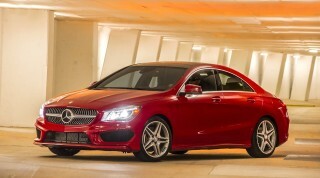 The new four-door's just 175.5 inches long, and it rides on a 103.4-inch wheelbase. That's more than a half-foot longer overall than a Benz CLA, though the wheelbase is longer on the A3, by more than an inch. The Audi's also marginally wider, and it's notable from the back seat how the A3's doors and roofline make its petite back seat more accessible than the one in the CLA. There is, however, quite a bit of road noise in the A3's cabin, and trunk space is rather small. Audi says it's maximized interior space and boosted crash performance by moving the front wheels forward by about 1.5 inches. The A3 doesn't rely on body along to protect passengers, though: it has pre-collision restraint prep, simulated torque vectoring on the front wheels via its anti-lock brakes, and a passel of optional safety technology, including blind spot monitors and adaptive cruise control that maintains a traffic crawl with a tap of the cruise's resume button. The 2015 Audi A3 1.8T will start at $30,795, while the 2.0T quattro model starts at $33,795; both are sold as A3 Premium models—which, technically, leaves room for a value-leader base model at some future time. Leather upholstery, a power driver's seat, dual-zone automatic climate control, and the panoramic sunroof are standard across the model line; base models also include Bluetooth audio streaming, HD Radio, satellite radio compatibility, bi-xenon headlamps, LED daytime running lamps, and a rain/light sensor. Audi's MMI system is also standard, with a 7-inch-diagonal, 0.5-inch-thick retractable screen displaying information from audio and phone systems--and navigation, when it's purchased. MMI now has a wide touch surface on its controller knob, for fingertip text entry--just write out letters, Palm Pilot style, and MMI translates them into destinations or other data. Audi Connect will be a key upgrade for the connected class. For a subscription fee, A3 drivers can tap into a 4G/LTE data network that delivers Google Earth maps and other rich feeds to the car--which can even store photos of destinations for use as favorites. Audi Connect enables service to as many as 8 devices, and can stream music from them via local wireless networks it creates. It can all be rendered through a 14-speaker Bang & Olufsen audio system with 705 watts of output. Most will agree that the 2015 Audi A3 is neat and handsome; but it's hardly groundbreaking in its design or styling. Although the Audi A3 and S3 will arrive in some forms to the U.S. in Sportback (hatchback) and convertible forms eventually, the 2015 A3 hits the road running as a sedan. And it's a shape that will ring reassuringly familiar to Audi owners and intenders, as we can't help but think that it looks familiar. Whether speaking of the profile, the proportions, or the overall size, the new A3 Sedan is very closely aligned with the original A4 sedan, as well as the Audi 80/90 compacts that came before it. Inside and out, it makes no missteps—with neat, handsome, and even somewhat sporty styling. From the available LED headlights, to the emphatic, spare grille, to the gentle roll of the roofline into the stubby trunk, it's as quintessentially Audi as any of the brand's larger sedans—a factor that those new to the luxury market (as well as those in emerging markets) will appreciate, no doubt. Look up close at the sheetmetal, however, and you'll see that there's been a lot of attention paid to the sheetmetal and surfacing, with subtle contours around the rear fenders, a sharp beltline crease running just below the doorline, and then the most expressive part: an upwardly rising crease that rises upward alongside the lower section of the doors. There's also a distinctive angle to its rear pillars—which helps tuck the profile down in just the right place and make the rather abbreviated rear end avoid any hint of awkwardness. The only part we had trouble warming up to? The corners of the A3, particularly in back, are a little too rounded, and it can give the car a bulbous look from some rear angles. The interior of the A3 and S3 ventures into new aesthetic territory for Audi. The somewhat cluttered look of the previous A3's instrument panel has been completely excised, and replaced by a clean, horizontal orientation. It also goes completely against the grain set by the current A4 and its more cockpit-like layout. Instead the layout here is focused around a horizontal dash, dominated by round vents, and on top in the center, a new screen that tucks neatly into the dash when the power is off and reemerges when the car's started—a uniquely German solution to infotainment that hits a fragile note in the cockpits of Benzes and BMWs, too. A trio of small climate-control knobs and a thin shelf of buttons reside along the dash's midline, while a small, hooded gauge cluster leaves plenty of dash space open. Down below, things are more familiar if you've spent any time in A4 models; you'll find engine power, sound-system volume, and an electric parking brake control there, along with a new Multi-Media Interface (MMI) controller that now includes a pad that lets you trace individual letters of a destination or contact. An inlay smoothly wraps around the top forward portion of the dash, ahead of the driver and front passenger, flowing smoothly into the door trim and leaving the dash to jut out and meet the doors at more of a space-expanding right angle. While we like that, the interior details feel a little misguided, as if some interior stylist was trying too hard to dress the cabin up with brightwork. Shimmering chrome rings around the climate vents are a little distracting in bright sunlight, and it lends a busier look to an otherwise clean appearance. 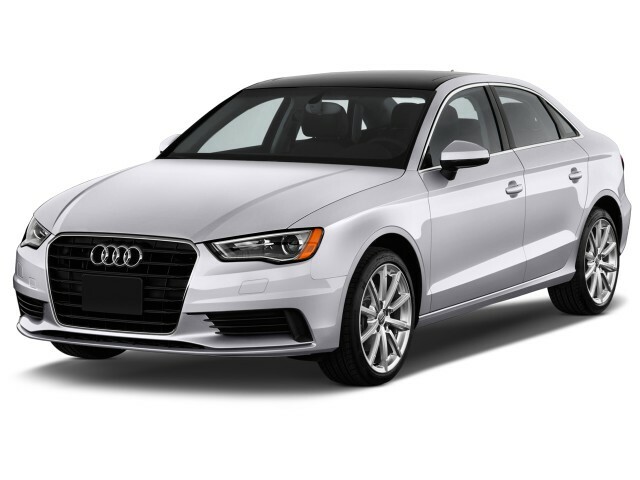 The 2015 Audi A3 is as quick, responsive, and confidence-inspiring as most drivers will expect from a car that doesn't make the grand gestures of a sport sedan. The 2015 Audi A3 first arrives in the U.S. in two forms: front-wheel-drive 1.8T models, with their 170-horsepower, 1.8-liter engine, and 2.0T quattro (all-wheel-drive) models, with a 220-hp, 2.0-liter engine. Both are turbocharged, direct-injected in-line fours with iron blocks and aluminum heads, and mated to the familiar (VW/Audi) six-speed DSG (automated dual-clutch) gearbox. The calibration of Volkswagen’s familiar six-speed DSG dual-clutch automated gearbox has been softened somewhat for the A3—for better low-speed drivability than we've noticed from this transmission in the past—although if you click over to the transmission's 'S' (sport) mode you get later (and firmer) upshifts, plus eager, rev-matched downshifts. Audi quotes 0-60 mph times of 7.2 seconds with the 1.8T and 5.8 seconds with the 2.0T, but that may be due to shift points and launch smoothness (there is a launch-control feature in the stability control). In reality these two models feel just as quick in normal driving conditions—although we noted a somewhat raspier note from the 1.8T when pressed. Both engines produce their peak torque ratings (200 and 258 pound-feet, respectively) at just 1,600 rpm, so they're fine being almost lugged and yet can 'waft' up to speed almost like a diesel or big-displacement engine—with nearly no detectable turbo lag—if you tip gently into the accelerator. The most coveted edition will be the S3. With an uprated version of the same 2.0-liter turbo four and standard all-wheel drive, the S3 should be good for about 296 horsepower, and for a 0-60 mph time of about 4.8 seconds--a performance benchmark just two-tenths of a second shy of the CLA 45 AMG, which sports almost 60 more horsepower. The A3 runs on a transverse-engine architecture, with a strut front suspension isolated on its own subframe, with a four-link torsion-beam rear suspension used for efficient packaging. The electromechanical steering system is among the best-weighted in the business, with a precision that allows you to easily place the A3 exactly where you want it to be in your lane, although actual road feedback isn’t any more vivid that in most other models of its kind (read: a little dull). Brakes also have a precise, easy-to-modulate feel. Audi's Drive Select will also let drivers fine-tune the A3's throttle feel and steering effort over the usual auto, sport, comfort, and individual ranges. As for quattro all-wheel drive, the system in the A3 isn't at all the same as the one that's used in Audi's larger models from the A4 family on up. Instead it's the Haldex clutch-pack-based system that aids efficiency by sending most or all power to the front wheels during most cruising and steady driving situations but can quickly, depending on a wide range of sensor inputs, anticipate and preemptively avoid wheel slippage by sending more power to the rear wheels for traction—as further assisted by the stability control system. The A3 doesn't quite deliver the ride comfort or the cabin quiet and refinement that we would expect from a luxury marque. Yes, we know that the A3 is a small car, and that it's relatively affordable. But while its in-cabin technology (when you check the right option boxes) wows us, we can't help but be a little disappointed with its relative lack of creature comforts and traditional luxury-badge refinement. The A3's cabin is a bit of a throwback, if you've spent time in the current A4 sedan or Allroad wagon. The new four-door's just 175.5 inches long, and it rides on a 103.4-inch wheelbase. That's more than a half-foot longer overall than a Benz CLA. The Audi's also marginally wider, and it's notable from the back seat how the A3's doors and roofline make its petite back seat more accessible than the one in the CLA. But in all fairness, the CLA and its intentionally compromised, coupe-like layout are a low bar to go up against—and versus most other small luxury sedans, the A3 feels a little cramped. Comfort is adequate from the front seats, but these aren't the superb, super-supportive seats of Audi's larger models. The lower cushions of the seats in the A3 (even those of the available sport seats) are surprisingly short—not what we expect from a European car—and we found that the hard edges next to the forward portion of the center console dug into the sides of right knees, bothering not just taller drivers like this one but average-height drivers as well. As for the back seat, there's decent space back there if you don't happen to have someone tall in front; otherwise, headroom is on the tight side—and will be for anyone around 5'10” and above. Power seats are included for the driver only, and you won’t see ventilated or cooled seats, or a heated steering wheel, anywhere on the options list (these two latter items are pretty common on option lists nowadays, but it seems like nearly all smaller luxury sedan buyers have to deal with more compromised, manual passenger-seat adjustments). Cabin refinement meets the minimum that one might expect of a premium-brand small car, but we wouldn't go so far as to call the A3 especially quiet or refined. 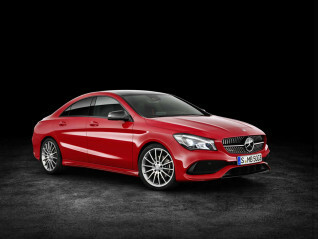 There's quite a bit of road roar in the cabin, and you feel the coarse thrum of the engine as you're lugging along at city speeds; the engine vibrations aren't as isolated away as in a Mercedes CLA—or a Buick Verano, for that matter. The Audi A3 takes good care of its occupants, and helps the driver with some key active-safety options. 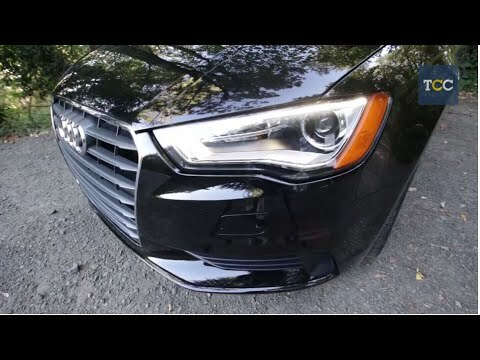 The 2015 Audi A3 has all the standard safety features that you’d expect to see in a small, premium-brand sedan; and just like most vehicles in this class, there’s room to spend more on active-safety options that might help you avoid an accident altogether. Audi says it's maximized interior space and boosted crash performance by moving the front wheels forward by about 1.5 inches. The A3 doesn't rely on body alone to protect passengers, though: it has pre-collision restraint preparation (as part of a system called pre sense basic), simulated torque vectoring on the front wheels via its anti-lock brakes, and a passel of optional safety technology, including blind spot monitors and adaptive cruise control that maintains a traffic crawl with a tap of the cruise's resume button. 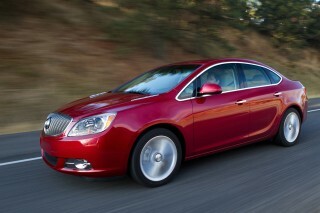 Add the Advanced Technology package, and you add active lane assist, and adaptive cruise control with stop and go. While the A3 didn't quite manage five-star ratings in all categories from the federal government (it earns only four for frontal impact), it's already earned Top Safety Pick+ status from the Insurance Institute for Highway Safety (IIHS), with top 'good' ratings in all categories of testing—including the tough new small overlap frontal impact test. The 2015 Audi A3 can be at the leading edge of the in-dash technology curve—when you select the right options. Meanwhile, there are some comfort extras completely missing. The star of the 2015 A3 interior is right atop the dash; it’s the brand’s Multi-Media Interface (MMI) system. Audi has at last put the full-fledged version of its connectivity and infotainment interface into its most affordable car—and this system's excellent interface and great connectivity together are reason enough to consider this small sedan instead of some of the leading rivals. Start the engine and a high-contrast, full-color seven-inch screen rises up from the dash. The screen is one of the thinnest in the industry—and no doubt rather delicate-looking—but you don’t ever touch it. Instead, you can make inputs with a combination of twists and presses, via a controller and series of buttons on the center console; or you can cut right to the chase with individual voice commands for some things. On top of the rotary MMI controller there’s also a capacitive touch pad that allows you to trace with your fingertip one letter at a time to input addresses or contacts—a highly effective method that gets it right the vast majority of the time. Other new features for this version of MMI include read-aloud Facebook and Twitter alerts, direct access to RSS news feeds, and ‘tuning’ for more than 7,000 Internet radio stations. That’s in addition to online traffic information for the navigation system, which includes Google Earth and Google Street View displays, and even a feature that will show you a Street View glimpse of your destination. That’s all made possible through a super-fast on-board AT&T 4G LTE connection. It requires a subscription, and the rates do include some surprisingly low data caps, but the system can also act as a wireless router for personal devices and could provide a connection fast enough for a laptop-based video conference in a pinch. That system is optional, however, and a more limited MMI system is standard. And it underscores a point: that while price may very well be among the top reasons for considering the A3 in the first place, if you want some of the key features in this car you’d better be prepared to pay a lot more. Altogether that’s pretty generous. Yet one side of the A3's personality—if luxury-car features are what you seek—is a little lacking: Even if you want to upgrade to extras like cooled/ventilated seats or a heated steering wheel—options now on some low-priced Kias—you have no such luck on this Audi. Option packages, at least for now, are very simple, with Premium plus and Prestige models making up the bulk of it. With the Premium plus you get an aluminum interior trim package, keyless entry, and larger 18-inch wheels; opt for the Prestige package and you get the ‘loaded’ version, with a sporty S-line interior kit, 705-watt Bang & Olufsen sound, Audi Connect, a Convenience package, and full LED headlamps—in that case, for an additional $8,450. Separately, a Sport Package wraps together Audi Drive Select (for control over steering assist, throttle sensitivity, and shift points), front sport seats, and shift paddles. The Audi A3 faces the increasingly high mileage expectations that even luxury shoppers have—with especially impressive MPG numbers for A3 quattro versions. The 2015 Audi A3 lineup is just as fuel-efficient as mass-market compact cars -- and models with quattro all-wheel drive don't sacrifice much efficiency. Front-wheel-drive A3 sedans have the 1.8-liter (1.8T) engine, and get ratings of 23 mpg city, 33 highway, while those with quattro earn a slightly better 24 city, 33 highway. That’s quite the opposite of how it usually is, with AWD models usually lagging their front-wheel-drive counterparts by as much as 2 or 3 mpg. Credit the A3’s Haldex clutch-pack-based system, which sends power to the rear wheels only when its needed—typically not when cruising at a steady speed. It’s also most likely a matter of gearing; models with the 2.0T engine have somewhat taller gearing that may help when you ease up off the accelerator at any speed. Meanwhile, models with the TDI diesel engine return an EPA-rated 31 mpg city, 43 highway. In an early drive experience covering two different A3 2.0T sedans, over nearly 200 miles of rapid driving along hilly, curvy two-lane roads, we saw trip-computer-indicated averages on both cars of about 26 and 27 mpg—giving us confidence that most people will be able to achieve these cars’ 27-mpg EPA Combined rating. 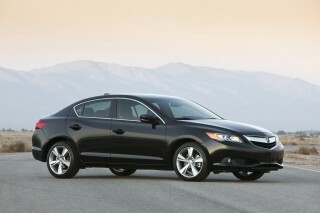 The size of the fuel tank is different between the two as well—13.2 gallons for the 1.8T or 14.5 gallons for the 2.0T. And by the way, premium fuel is listed as recommended on both engines. It has all the safety features you could want with excellent handling but doesn't compare with previous Audis I have had. The engine/transmission combo lack smoothness and linearity. Between 1500-1800 rpm the... It has all the safety features you could want with excellent handling but doesn't compare with previous Audis I have had. The engine/transmission combo lack smoothness and linearity. Between 1500-1800 rpm the engine lags and there is a roughness/vibration. Had it in for service and they could do nothing to fix it. Then they called in a factory engineer who drove it and compared to other similarly equipped A3s'. All of them had the same problem so they said this just how the car is and thus it is considered "normal" acceptable behavior. Took delivery in September of 2014; now has 21k miles on it, yes, I drive a LOT! Only complaint I have is that the shift mapping could be tighter; many times I find a "flat-spot" when I need acceleration or a... Took delivery in September of 2014; now has 21k miles on it, yes, I drive a LOT! Only complaint I have is that the shift mapping could be tighter; many times I find a "flat-spot" when I need acceleration or a down-shift and, it's simply not there. I either have to switch the transmission to manual mode, or, force a downshift with my right foot. Neither option works well all the time. Sporty and quick. smooth riding, except for slight roughness in slow acceleration. Very responsive.